On this site you will find only a small selection of Ice Carvings and ice product ideas that we have created over the past 20 years. Please scroll down to learn about us and see our Ice Carving product sections. We have created so many Ice Carvings that we could not feature all of our creations on here. If you love our current work & designs featured on this site but can't see what your looking for, contact us and a member of our Ice team will be happy to discuss or email you back with visuals, prices and options. Have look at our truly stunning bespoke Ice Carvings. 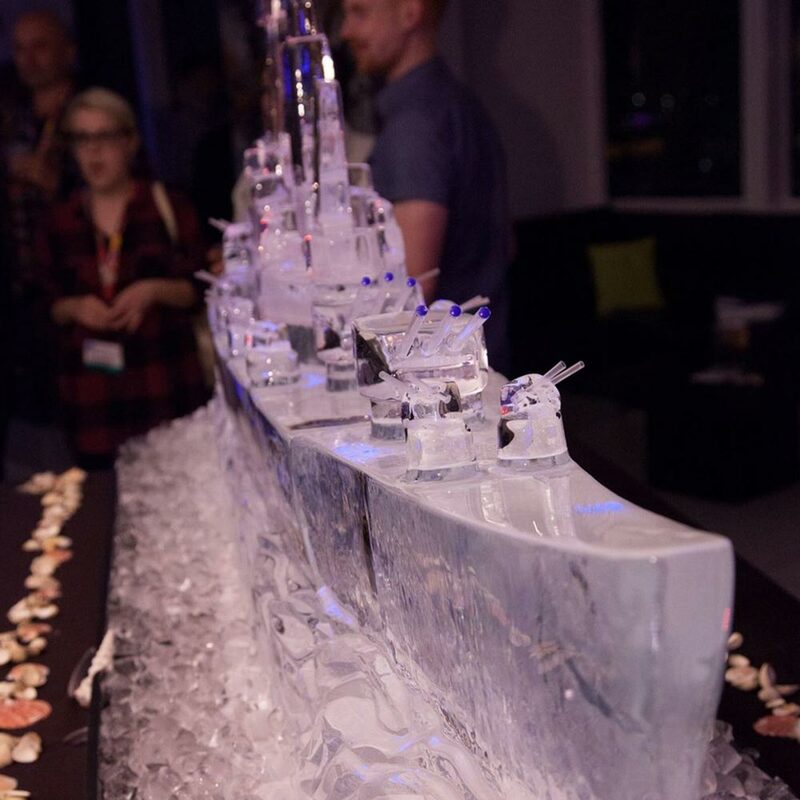 We have worked with clients from all walks of life and produced some truly amazing bespoke Ice Carvings that have been at the focal point of many an event. Vodka Luges are the must have at any occasion. At All About Ice Europe we have designed over 1000 different types of luges for many occasions. If you don't see what you want or you're looking to create something special look no further, we have something for everyone. If you're looking to make an impact on your food displays or looking for new and innovative ways of displaying your food products, look no further! We have created some truly stunning Ice Carvings that add style and flair to your event. We create all our own hand carving work and everything is handled in house from start to finish. All About Ice Europe is a market leader in the creation and installation of Ice bars. We have huge range of designs and sizes to fit any occasion from product launches, weddings to private and corporate parties. Wedding Carvings are our specialty. If you want us to work with your florist, etch words in ice and you want to make a special impact, we have created some truly amazing wedding Ice Carvings that will enhance your room decor. We have been working with media and film for over 20 years creating some truly amazing and iconic ice carvings , if you are looking to enhance a brand or wanting to create a visually stunning design. Live Ice Carving displays and Ice team building events are increasing in popularity. All About Ice Europe excels in this, delivering you or your client a fantastic & memorable experience. Amaze your clients with our breathtaking displays of live Ice Carvings. We supply this service all over the United Kingdom and it is great for Christmas displays, corporate hospitality and parties. What could be more fun than experience the thrill of ice carving team building to bring teams together, bonding like no other event. 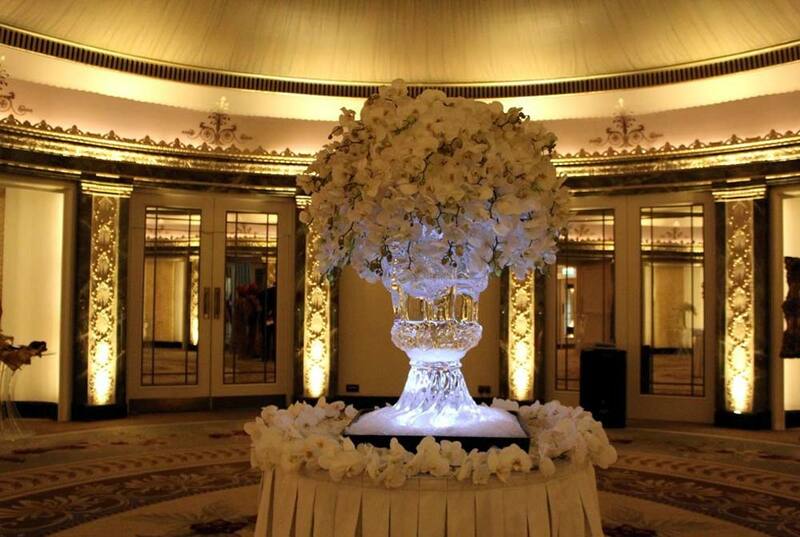 We supply this experience onsite at your office or venue of your choice. Awards dinner or weddings, maybe a product launch or winter wonderland theme, let All About Ice Europe create some truly stunning table centers that will be the talking point of your event. New for 2017 our dry ice sticks are great for drinks. Our dry ice is supplied within London and across the UK. Our cubed and crushed is also available for distribution across the United kingdom. For 1-24 pallets click here. We also offer a 7 days a week local ice delivery service within Central London and the surrounding areas click here. All About Ice Europe offer dry ice for many applications. We offer same day and next day delivery options and are open seven days a week. We supply the dry ice in Blocks and Pellets. We Supply up-to 24 pallets and min 4 bags for local delivery, we also supply Gin & Whiskey ice cubes and ice carving blocks. We now offer UV Dry Ice Sticks for drinks. These versatile stick can also be used for Prosecco and Champagne glasses. Let us know what you're looking for and we'll prepare a competitive quote for you.